Several months ago I moved from Brooklyn to San Francisco. I enjoy travel for the personal growth and experiences it provides, minimalism for its simplicity in both physical and mental avenues. Traveling helps promote minimalism and becoming more focused on being present with your immediate surroundings versus being consumed with material things. A toss-up between Paris, France, or Camden, Maine USA. Both are obviously very different cities, but each great in their own right. I love the style, food, and culture of Paris and Camden is a quaint small-town cabin feel. It's great for a cozy winter vibe or swimming in lakes during the summer. Francis Villanueva's trusty travel items. Travelrest Ultimate Travel Pillow: Tried it for the first time this past weekend and it performed really well. Inflates in a few breaths and easy to store since you can deflate and fold it up. It looks weird, but works in supporting your head and neck. 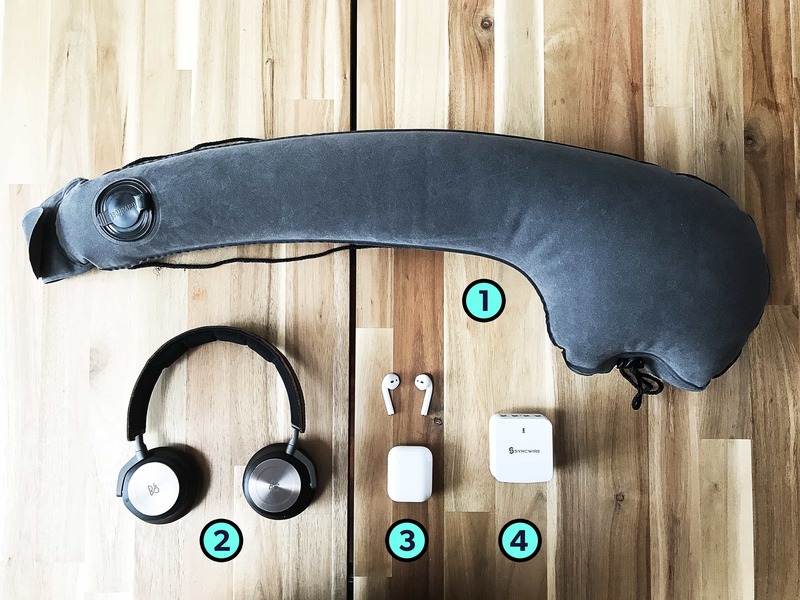 B&O Play H8 Wireless Headphones: Wireless and they’re noise-canceling which is key for flights to remove that constant hum. It’s really the only time I use them actually. Used them a lot more until I got the next item on the list. Apple Airpods: I. LOVE. THESE. I take these everywhere I go and they're integral to my daily life & commute. If Apple ever makes a noise-canceling version, they’ll replace my B&O’s completely. Also the size and weight are incredible, obviously. Bonus: Syncwire USB Wall Charger: Being a gadget freak, I’ve always got several things to charge and this works well. Two of the ports are 2.1Amps for faster charging. It would be great if this worked with the latest MacBook Pro, but there's not quite enough juice running through it in comparison to the standard Apple power brick. On international flights, I like to take my cold bread roll and cut it in half and then lie the two pieces on top of the hot food container to warm up the bread. You can also place a piece of butter there too since that's normally too cold and difficult to spread. If attending a formal event, I usually end up rolling up my tie and putting it into one of my dress shoes. Flat USB chargers and plugs. I don't really like the Apple cube and wish someone made a thin, high-quality version that could slide into a jean pocket with ease. I wish there were travel sized versions of my Baxter of California deodorant. Something like half the height of its current design. 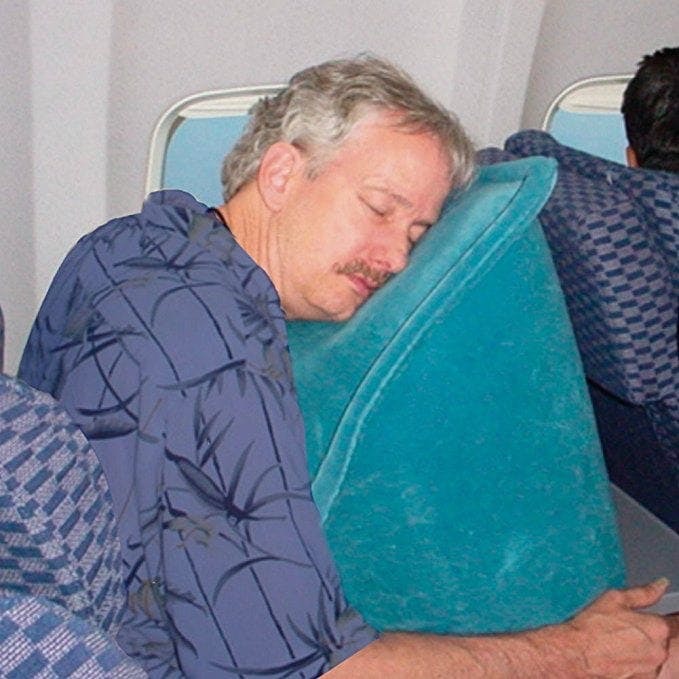 The Pillow Wedge is the weirdest piece of travel gear I've ever seen. You can find Francis' work at francisvillanueva.com.